Our Kimberly Tapestry Ur-Go Bag keeps you organized without cramping your style. 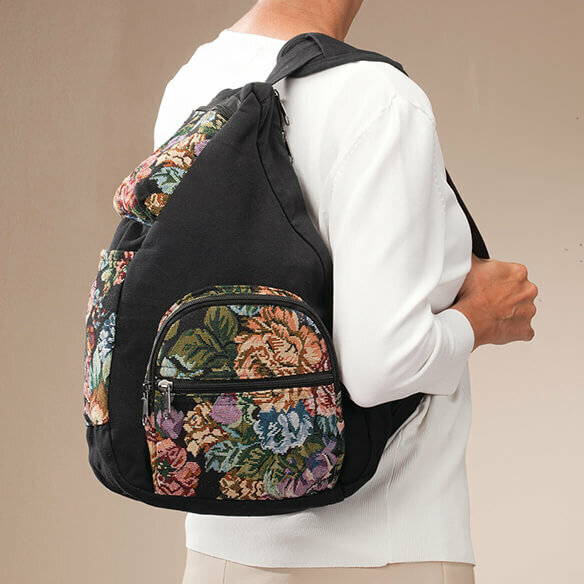 This fashionable tapestry handbag is loaded with pockets and compartments, yet lightweight for hands-free travel, shopping and more. 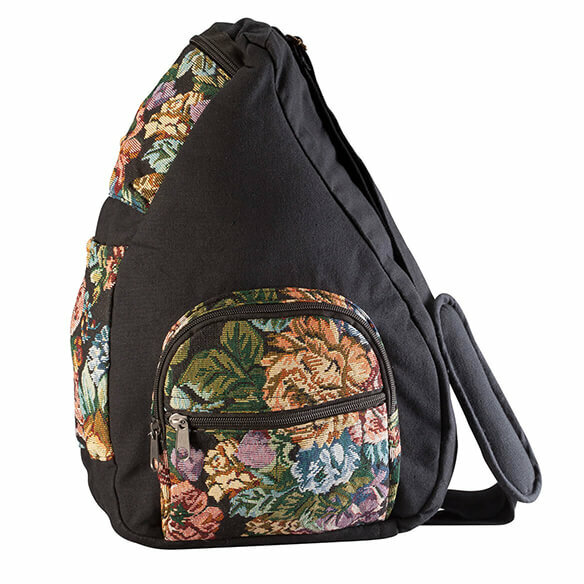 Exterior features an adjustable padded strap for cross-body or shoulder carry, 5 zip pockets, and an easy-access pocket for a water bottle or glasses. Ergonomic shape eases stress on your neck, back and shoulders. Interior compartment features 2 zip pockets and 4 pen pockets. Crossbody bag measures 11"W x 5"D x 16 1/2"H overall; strap adjusts from 20"–38"L.
I chose this bag because it is easy for me to carry the things that I need on a daily basis. I can just grab it and go. should be easier on shoulders and back.